Last week we told you all about what life along the waterfront really looks like in our Port of Newcastle community– and what you as a homebuyer can look forward to in our Lakebreeze community in Bowmanville. We thought that this week we’d spend a little more time exploring the communal/recreational hub of the Port of Newcastle – the Admiral’s Walk Clubhouse. Every active community needs a community centre – a place to be active regardless of weather, and a place to meet and connect with others close to home. Residents of Port of Newcastle happily regard Admiral’s Walk as their home away from home. At 15,000+ square feet, it offers a spa, fitness room, and a beautiful indoor pool, opening onto a landscaped sun deck, and more. It also has a gorgeous lounge, a spacious party room – available to rent for your next birthday party, social or get together. Additionally, it hosts weekly events, such as: live music, karaoke nights, fashion shows, afternoon teas, movie nights, and special holiday events and celebrations throughout all four seasons of the year. 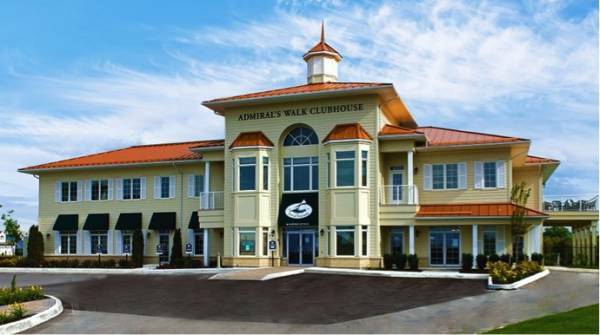 Admiral’s Walk memberships are available at no cost to residents of the Harbourview condominiums, while detached homeowners have access and full privileges at the Clubhouse with low monthly dues. So, if you’re interested in living a condo lifestyle in Port of Newcastle, you’ll be able to take full advantage of everything Admiral’s Walk has to offer. So transplanting your current active lifestyle into Newcastle will be seamless. Community centres are generally regarded as the heart of a community – and Admiral’s Walk is no different. If you’re considering living by the water, specifically in the Port of Newcastle, it will become an integral part of your new luxurious and leisurely new lifestyle, so you’ll definitely want to drop by and visit them.